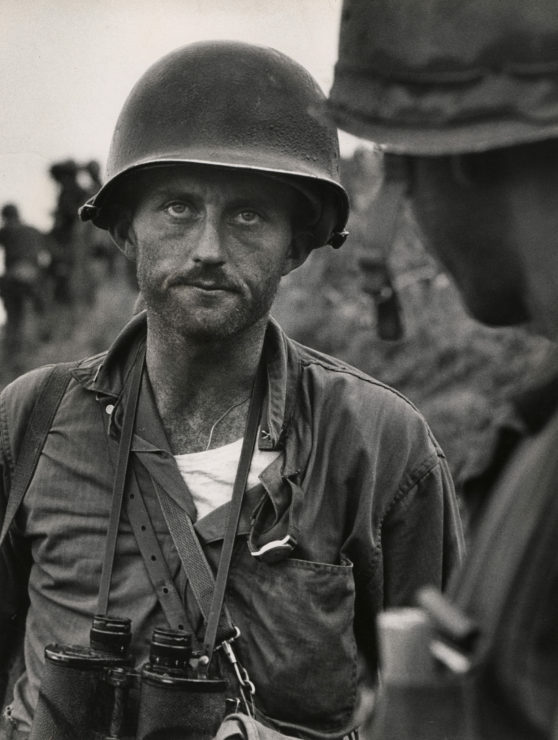 Ike Fenton, commanding officer of Baker Company, 5th Regiment of the 1st Marine Brigade, during the battle to secure No-Name Ridge along the Naktong River, Korea. 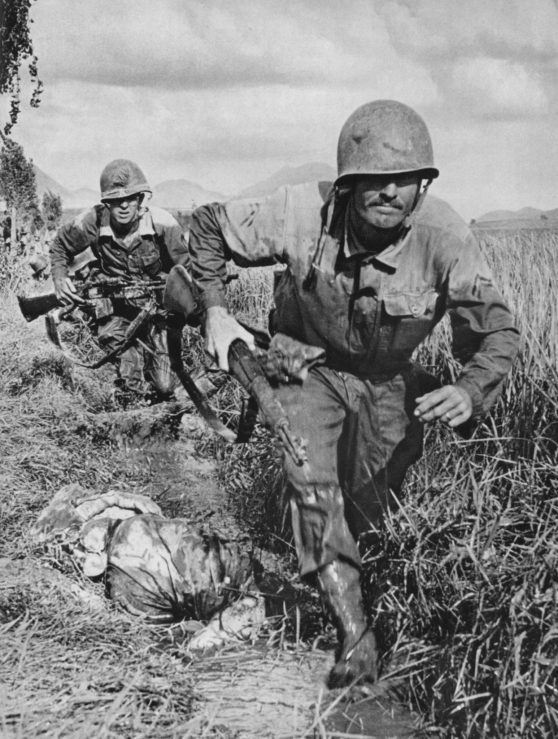 September 1950. 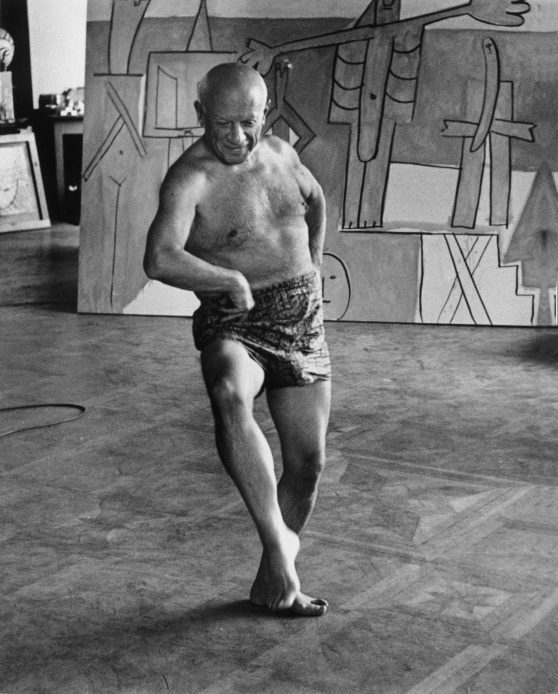 A vigorous Pablo Picasso at 76 in 1957 at his home, the Villa La Californie, in a suburb of Cannes, France. 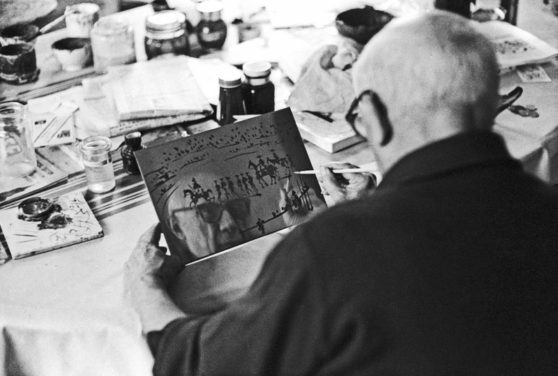 Picasso’s face reflected for an instant, 1967. 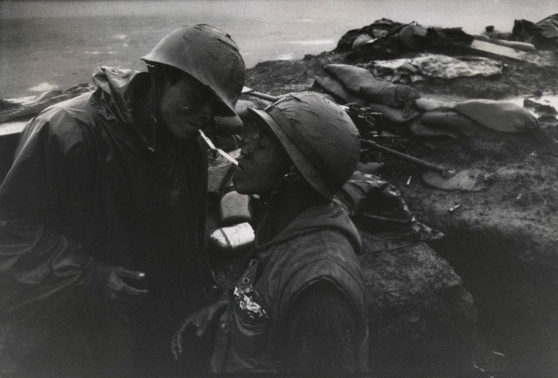 American lights the cigarette of another in Con Thien, Vietnam, 1967.